The Abu Dhabi Mar shipyard announced its intention to convert the former Dutch naval frigate into a superyacht back in 2009. Exterior and interior styling is by Pierre Jean Design, and is noteworthy for the fearless use of curves and glass. Early renderings of the yacht showed a huge pool on the aft deck in an extensive beach club area. The amazing 141-metre Yas was on sea trials late last year and her interior fit-out was completed in March by Greenline Yacht Interiors. 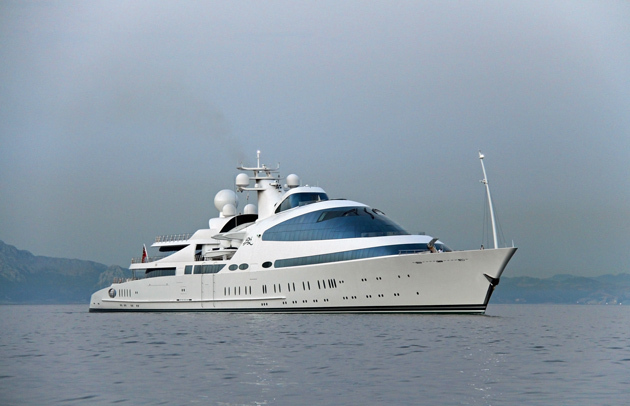 The superyacht is optimised to reach her destinations quickly, with a top speed of 26 knots and a cruising speed of 23 knots. 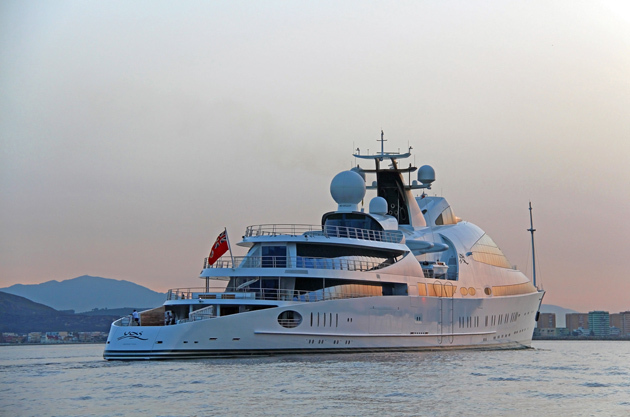 Holding the record for the moment as the eighth largest superyacht in the world, she is also said to be able to carry up to 60 guests, with a crew complement of 56.